iOwl has launched a high quality boar bristle beard brush, available for purchase on Amazon. The boar bristles help stimulate hair growth, condition hair, and reduce itchiness and dandruff. Online company iOwl has launched a natural bamboo boar bristle beard grooming brush, available for order on Amazon. The product is a high quality, naturally made brush that reduces itch, conditions hair and stimulates hair growth. 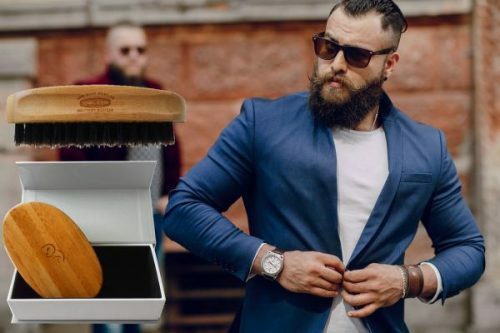 With the beard trend not soon dying out, this high quality boar bristle beard brush would make a great Christmas gift for a bearded man. The brush is made of premium wild boar bristles, proven to stimulate skin and the red blood cells near the skin’s surface to naturally encourage hair growth. The bristles also help to increase production of sebum, a conditioning oil that is naturally produced by the skin, distributing along the hair shaft, keeping it looking healthy, shiny and glossy. The sebum oil helps prevent dull looking hair and split ends. The main problem men run into when trying to grow their beards is that they can be irritating and itchy once they reach a certain length. The boar bristles of the iOwl brush also help clean, maintain, soften and condition beards to keep them free from lint, pollution, crumbs, dandruff, dead skin flakes and tangles. In addition to conditioning the hair and reducing itchiness and dandruff, the brush also helps to reduce hair thinning and baldness, making beards look and feel fuller and softer. It is effective for any hair type including long, short, straight, curly, fine, course, thick or thin hair. Buying high quality products will save money in the long run, as the cheaper options might save money initially, they won’t last nearly as long and customers will need to keep replacing them, eventually spending significantly more. The iOwl brush is guaranteed to last 10 years and will eliminate the need to purchase any other brush in the meantime. This product makes a great gift for the upcoming Christmas season, and can be ordered to arrive in a luxury gift case. Interested customers can find more information or by watching this video https://youtu.be/7XEGWXqGsiI.